As we mentioned in our previous post, at the conclusion of the semester we asked our interns to share their impressions of the time they spent with us. We have taken the liberty of using some of their comments (highlighted in italics below) to provide a picture of their experience. This kind of impression is widespread and can be heard often. By providing a broad view of entomology we hope the interns developed a new perspective and will now write that last sentence in the past tense! To our delight, all the interns came out of the internship with a better understanding of (and some experience on) the wide range of skills and knowledge needed in curatorial work. 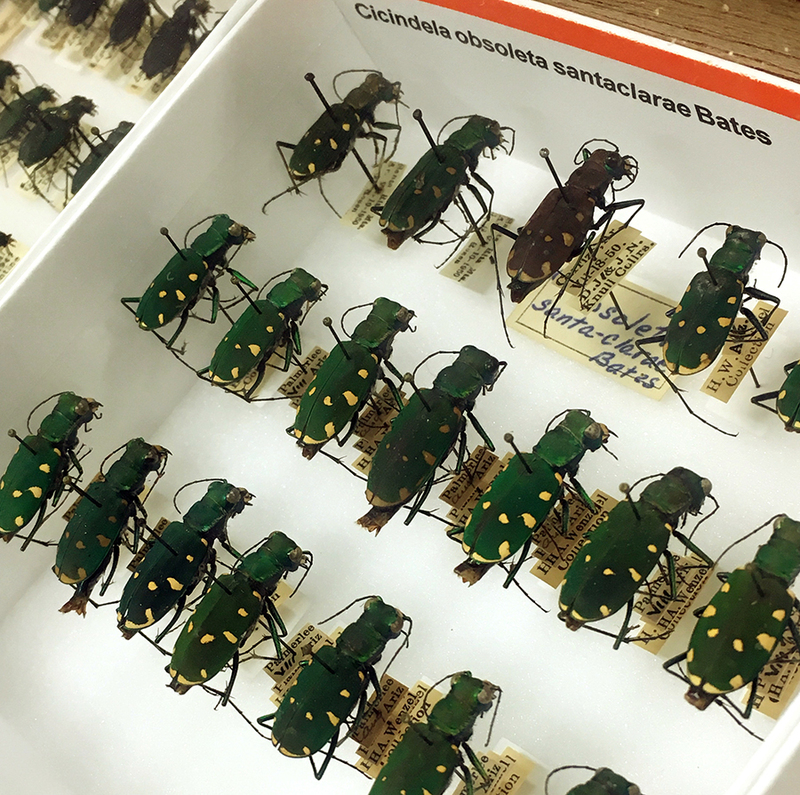 “Through performing the … tasks, I was able to increase my knowledge of both the curation profession as well as the study of entomology in general”. 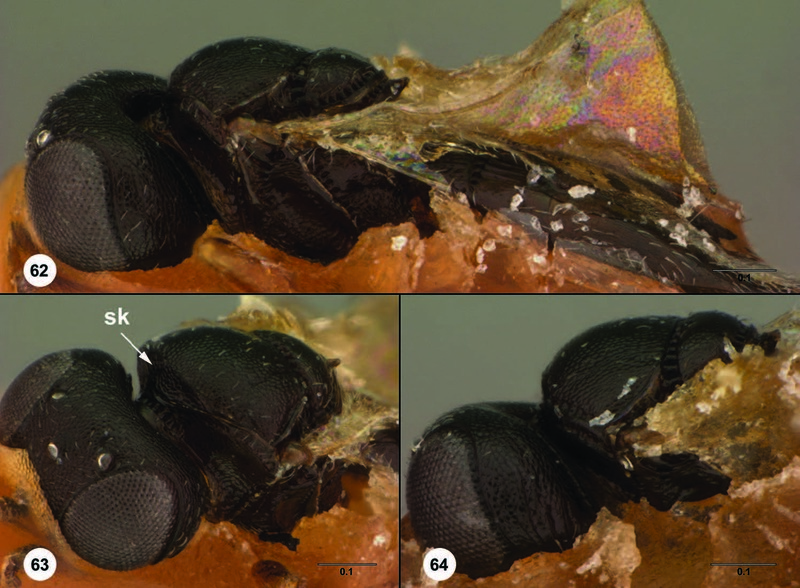 “… the only expectation I really had was that I would leave the internship having gained a lot of insect and museum-related knowledge that I had not had before. 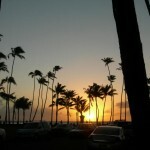 … this expectation was fulfilled with flying colors!”. People have different styles of learning, and “doing” can often be more effective than listening or reading. The interns highlighted the importance of hands-on activities. 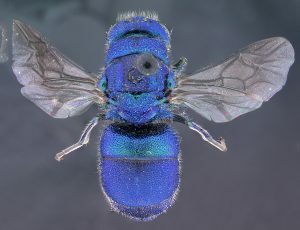 Ceratochrysis perpulchra (Cresson), a beautiful cuckoo wasp specimen from the collection. ID# OSUC 96424. This is not the one that Ellen found, but similar. Ellen’s cuckoo wasp is still in the freezer, and will be used for DNA extraction. Taking on an internship is a pretty serious commitment of time on the part of the student, and we hope that it turned out to be time well invested. We have all learned from the experience, and we will use what we have learned to continue to improve. 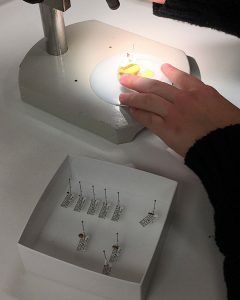 Even if a professional job as curator is not in the interns’ future, at least we have made a contribution to a future taxpaying citizenry that will understand the whys and wherefores of an insect collection. 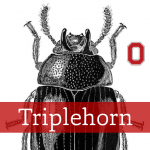 About the Authors: Dr. Natalia Munteanu Molotievskiy is an Entomologist and Guest Scholar, Dr. Luciana Musetti is an Entomologist and Curator, & Dr. Norman Johnson is Professor of Entomology and Director of the Triplehorn Insect Collection. 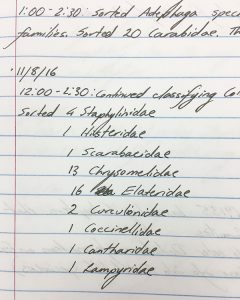 Last semester we of the Triplehorn Insect Collection offered our first Insect Curation Internship. I was pleasantly surprised with the interest generated by it. There were over 380 visits to the internship announcement and 207 visits to my post “Internship, Volunteering or Job?” on this blog. Fifty one (51) undergraduate students (of those 49 were women!) and 2 graduate students inquired about the internship. Of the 12 students interviewed we accepted 3 for the Fall 2016 internship. I also received requests for information from a few colleagues who are planning to offer similar internship activities in their collections and/or institutions. Here’s a summary of what we did. Our overall goal was to provide OSU students, both graduate and undergraduate, with a structured, mentored, hands-on experience on collection curation techniques and the preparation of research quality insect specimens. Activities were planned specifically for the internship. Our requirements were simple: patience, attention to detail, good organizational skills and a minimum commitment of 5 hours/week for 10 weeks. Interns received handouts containing our broad goals and specific objectives for the internship, and were asked to write down their own goals and expectations for the internship. At the end of the semester we did a two-way evaluation of the internship, from the perspective of the mentors and from the perspective of the interns. They also submitted a report of their activities and were asked to comment on what they thought of the internship. Interns received training on basic preparation standards and techniques used in insect collections, from sorting bulk samples to mounting and adding a label to the specimen, to entering the specimen information in the collection database. 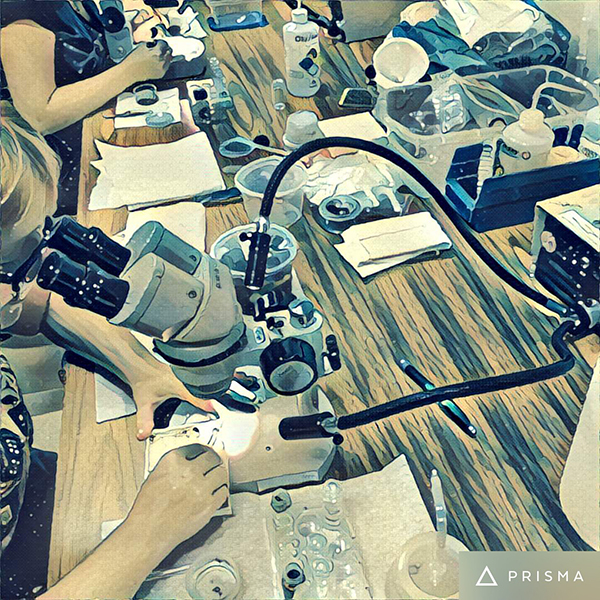 They worked on identification of the most common orders of insects and had the opportunity to take high resolution images of dry specimens. 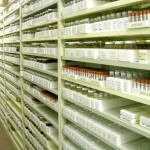 Weekly discussions involved broad topics of interest such as the importance of biological collections, why and how to deposit scientific vouchers in collections, challenges of long term preservation of collections, etc. Interns received handouts and/or electronic links to reading material related to our topics of discussion. 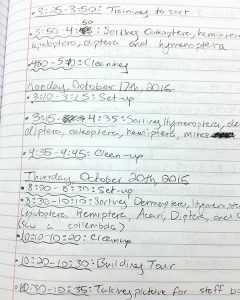 Each intern kept a lab notebook with records of all their internship activities, with date, brief description of the activity, time spent on the activity, plus any difficulties they encountered, questions, etc. Those records served as the basis for their internship report, due on the closing day. Time: A great deal of time went into the planning of the internship. We defined goals, developed activities, prepared handouts and tool kits. During the semester, we worked closely with the interns, individually and in groups, mentoring and evaluating their progress as we went along. 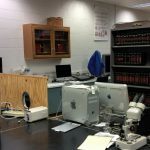 Space & Equipment: We do not have much idle space or equipment in the collection. Work space allocation to accommodate both our working staff and our interns was one of our major concerns (and cause of stress) in the planning of the internship. Our three interns, Ellen Dunkle, Hannah McKenzie, and Alexandria Ent, were very diligent and focused. They set the bar high for future interns. 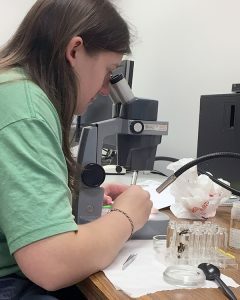 I also want to acknowledge the terrific work done by our guest scholar, Dr. Natalia Munteanu Molotievskiy, who instructed the interns on general insect taxonomy and on recognition of Coleoptera families. Our goal is to repeat the internship offering in 2017 as we already have students interested. 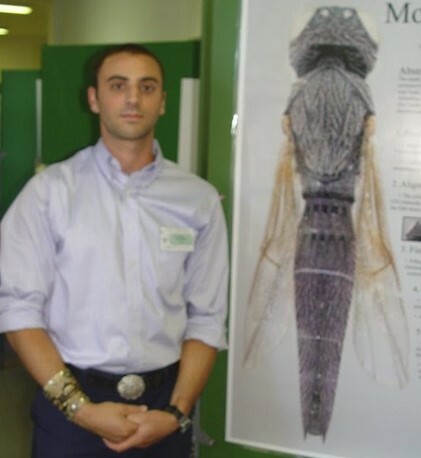 Watch for the announcement some time during spring and come learn how to build a top notch insect collection with us. The specimen digitization project that we are about to start at the Triplehorn Insect Collection will create a large body of information about butterflies. 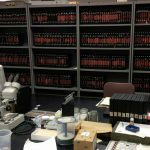 Those data, combined with the data from all the collections that are part of LepNet, will be a monumental resource for scientific research. 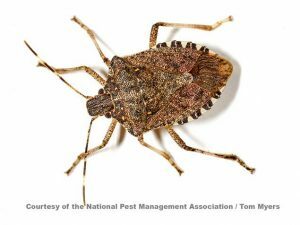 The information on the specimen labels and the images of selected specimens will be fully available online and accessible to all interested parties, from scientists to government agencies to 4-H programs to school classes to the general insect-loving public. 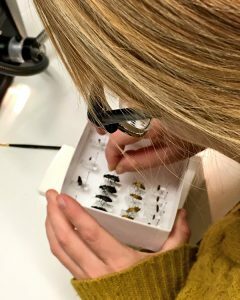 Ohio State has never been a powerhouse of butterfly research, nevertheless we hold a very interesting collection of these fascinating insects. 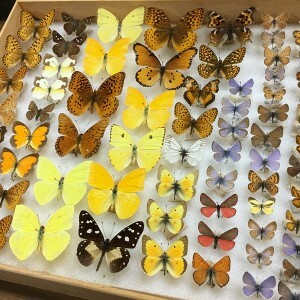 For example, we have some butterfly specimens that were collected in 1880s (they are as old as the Statue of Liberty!). 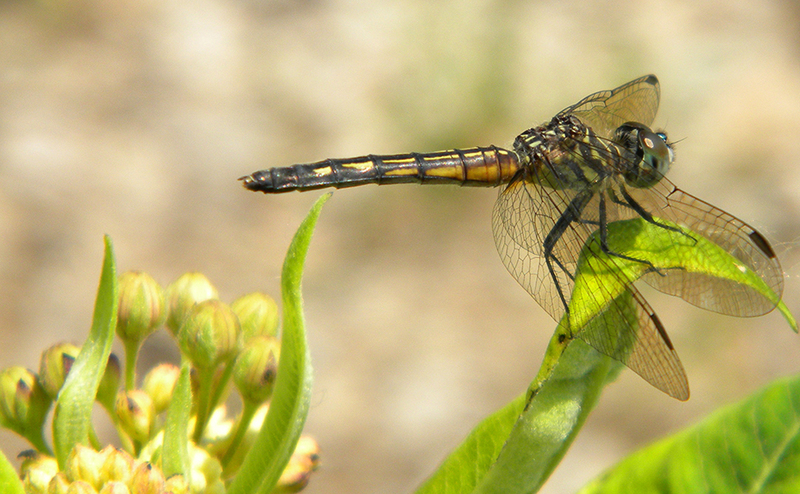 Some of our specimens were collected in natural habitats that are now gone, completely modified by human activity. We have representatives of rare and endangered species. The Parshall donation added depth and breadth to our collection. What amazing new knowledge will we gain from accessing all those data together? The next months and years will be interesting ones! 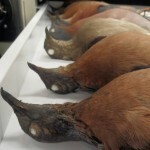 While we wait for the data, we can enjoy the beauty of the specimens in the collection. About the Author: Luciana Musetti is an Entomologist and the Curator of the Triplehorn Insect Collection. Photos by the author. Eight Ohio Young Birders visited the insect and tetrapods collections at the Museum of Biological Diversity on Saturday (April 9) morning. 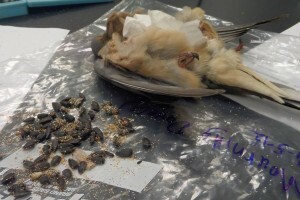 Jackie showed the students a comparison of the innards of a Cooper’s Hawk, Blue-winged Teal, and Mourning Dove, species that use quite different food sources. The students were a captive audience and got really excited when we discovered the remains of a House Sparrow in the stomach of the Cooper’s Hawk. 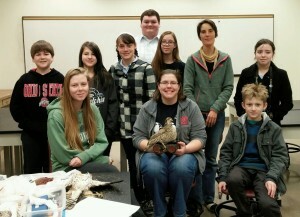 Angelika presented some displays of bird eggs and specimens which Stephanie Malinich, curatorial manager of the collection, had set up, to the students. 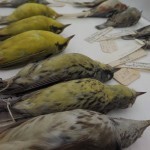 Both the extinct species tray and the tray with wood warbler species seen in Ohio were very popular. Luciana fascinated students with stories about insects, how and why they were collected, what we can learn from them, etc. The students asked many interesting questions. They were particularly curious about the meaning of the term ‘biodiversity’, about invasive species, and about the impact of climate change on insects. 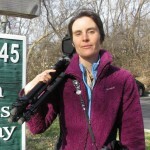 About the author: Angelika Nelson is curator of the Borror Laboratory of Bioacoustics and co-organized this visit with Darlene Sillick. Going where the wasps are. 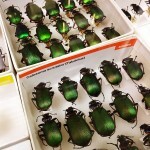 On the previous post we talked a bit about visits to the Museum of Biological Diversity and more specifically to the Triplehorn Insect Collection. Today I want to turn around and show you what we see & do when we put our ‘research scientist‘ hats and go visit other collections. There’s no walk-ins when it comes to visiting research collections. Setting up an appointment with the curator or collection manager is a must. That allows the staff to prepare for our visit, to set up work stations for us, to review the material we are interested in, and to do curatorial work ahead of our visit if necessary. Collections welcome research visitors because that fulfill their mission of providing service to the scientific community. 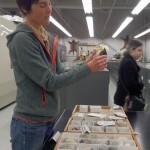 In return, visiting scientists add value to the collection by providing expert identification to specimens in the collection, and many times helping out with curation and organization of the collection. When we get to a museum or collection, the first thing we see is, of course, the door. While most public museums have imposing entrances, many times the access to very important research collections is a modest door on the side of a building. 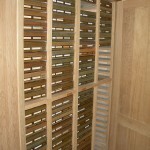 The size and type of door absolutely does not reflect the quality of the collections inside. 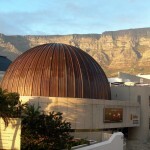 The imposing dome of the Iziko Museums, Cape Town, South Africa, against the backdrop of Table Mountain. The charming K.W. 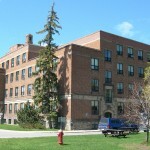 Neatby Building location of the Canadian National Insect Collection, Ottawa, and our home away from home. 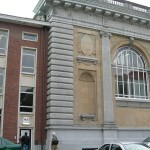 Door to the research collections of the Royal Museum of Central Africa, Tervuren, Belgium. Very inconspicuous. 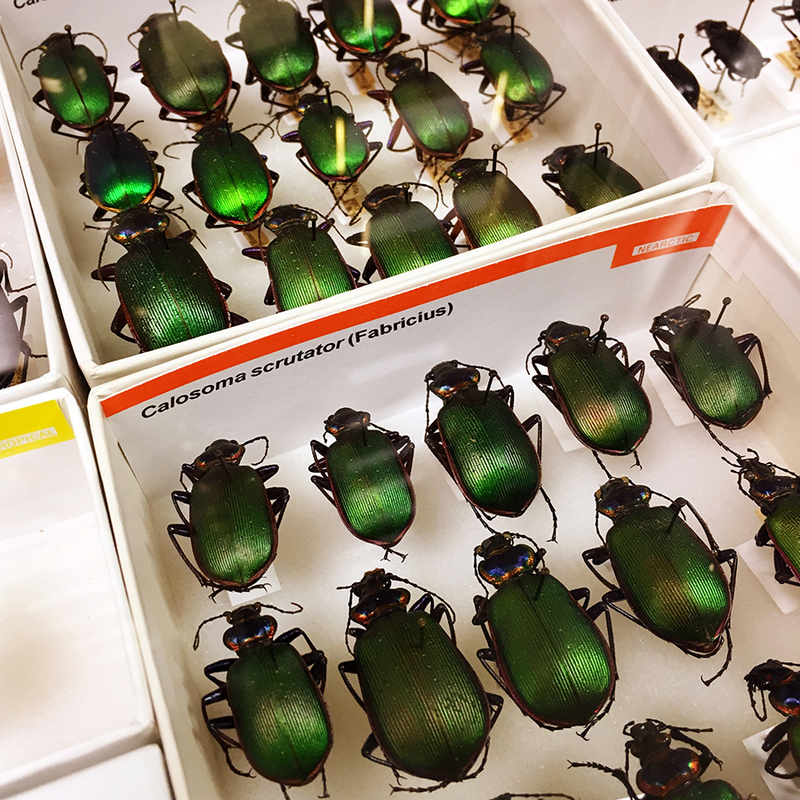 Once inside, we have access to the inner sanctum of the collections: rows of cabinets filled with drawers filled with dry specimens carefully separated by group; vaults containing insect specimens preserved in ethanol, waiting to be sorted to family, genus, species. And that’s when our work begins! 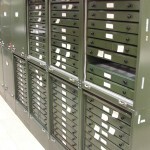 At the Entomology Collection of the Bishop Museum, Honolulu, Hawai’i, the dry insect specimens are kept in very tall compactors. To reach the top drawers we had to use a ladder. Beautiful wooden cabinets house the dry insect specimens at Royal Belgian Institute of Natural Sciences, Brussels. 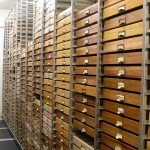 The vast holdings of the Australian National Insect Collection (Canberra) are kept in metal cabinets and (heavy) metal drawers. No need to exercise after a day examining specimens in the collection. Extensive wet collection at the Iziko Museums, Cape Town, South Africa. 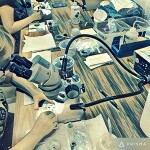 We spent two weeks going over every sample in that collection. 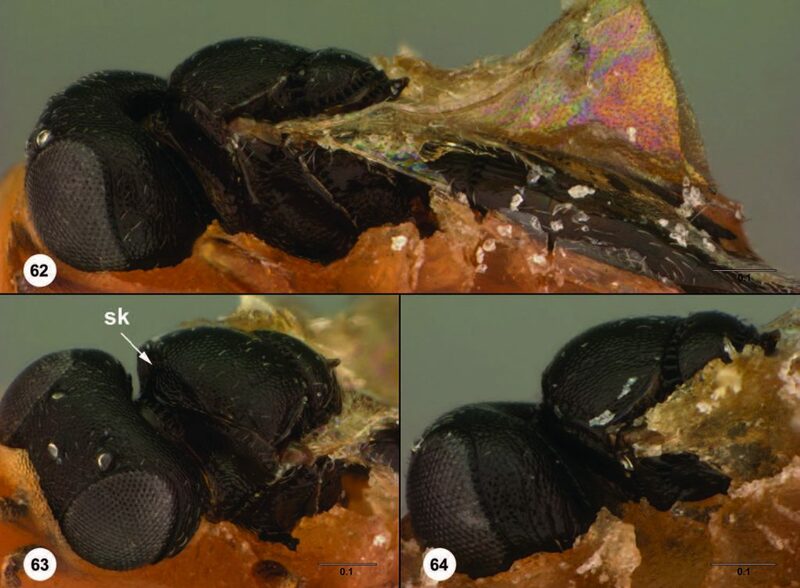 During a research visit we usually: 1) examine (lots and lots of) specimens, dry or wet, under the microscope, 2) add identification labels to specimens that we recognize, 3) database the specimen label data, and 4) take photos of specimens (and specimen labels). Sometimes we do only 1 and 2, other times we do mostly 3 and 4. It depends on the collection and what we are hoping to accomplish during our visit. We have a portable microphotography set up that we carry with us when we visit collections. 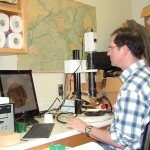 Dr. Norman Johnson imaging specimens at the Canadian National Insect Collection. 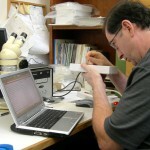 Dr. Norman Johnson databasing specimen label data at the Natural History Museum, London. We carried that little laptop computer to many research visits to collections in the USA and abroad. Our long-time collaborator and travel companion, Dr. Lubomir Masner, sorting parasitoid wasps to genus level at the Taiwan Agricultural Research Institute, Taichung City. 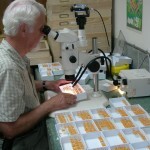 He and Norman sorted more than 30,000 specimens of the genus Telenomus alone! 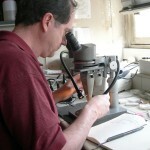 Dr. Norman Johnson examining specimens under a microscope at the Zoological Institute of the Russian Academy of Sciences, Saint Petersburg, Russia. 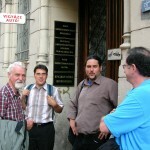 Over the years we had the opportunity to visit many (many!) amazing research collections in various countries. Besides the collections, their rich treasure of specimens, and their dedicated curatorial staff, we also learnt a lot about the places and the people who live there. 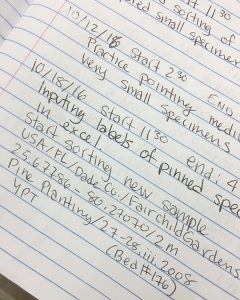 Looking forward to our next research visit to a collection! We happened to be visiting the museum in Brussels on the weekend of ‘Brussels in Bloom’, a fantastic festival we knew nothing about until then. 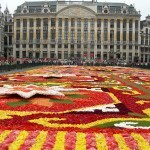 Every year there’s a new design for the carpet made of fresh flowers! Sunset in Honolulu was a delightful treat after many long hours examining specimens at the Entomology collection of the Bishop Museum. 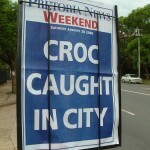 Local news in Pretoria, South Africa, at the time of our visit to the Plant Protection Research Institute, reported on a large crocodile found in the city. Sobering! 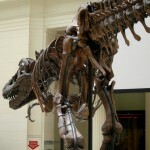 Sue, the resident Tyrannosaurus rex at the Field Museum of Natural History, Chicago, all by herself early one morning. 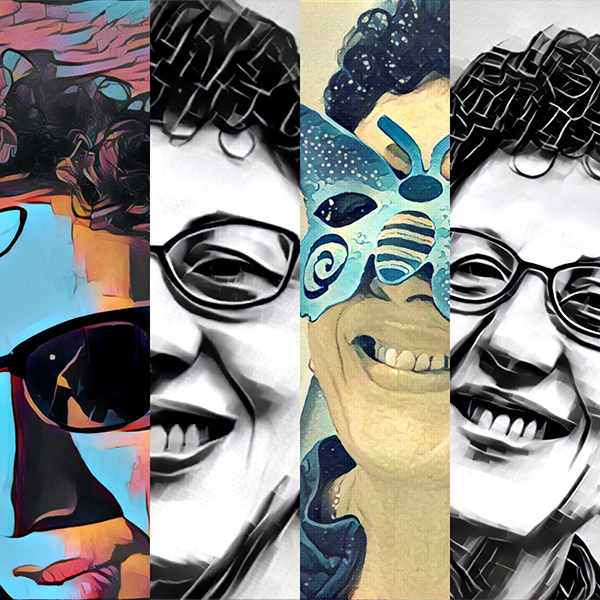 About the Author: Dr. Luciana Musetti is an entomologist and Curator of the C. A. Triplehorn Insect Collection.